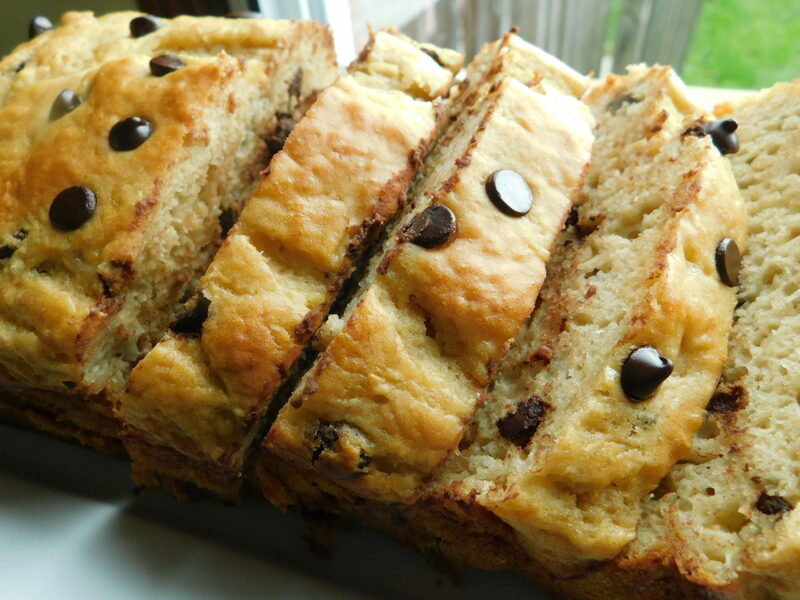 Dark chocolate chip banana loaf - Drizzle Me Skinny!Drizzle Me Skinny! 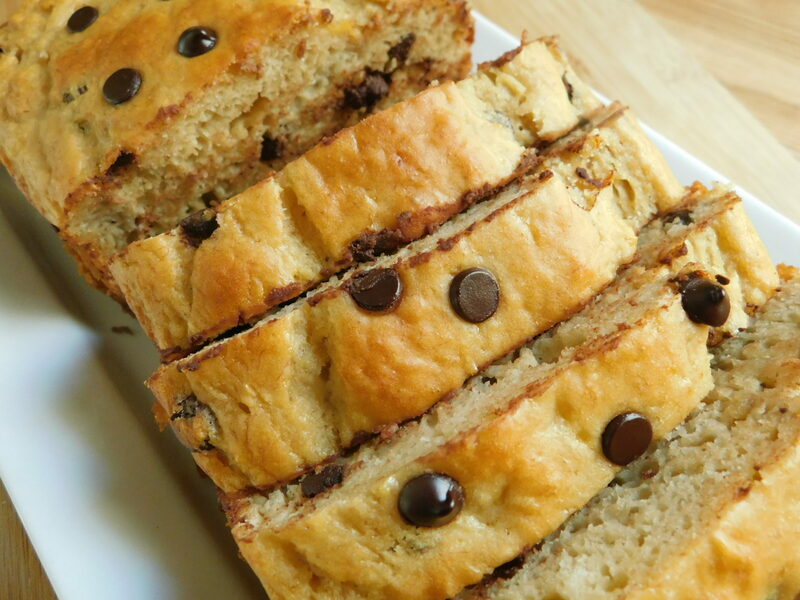 I just love a good banana chocolate chip loaf, I already have one that I made way back when I first started this blog so I wanted to create a new one. 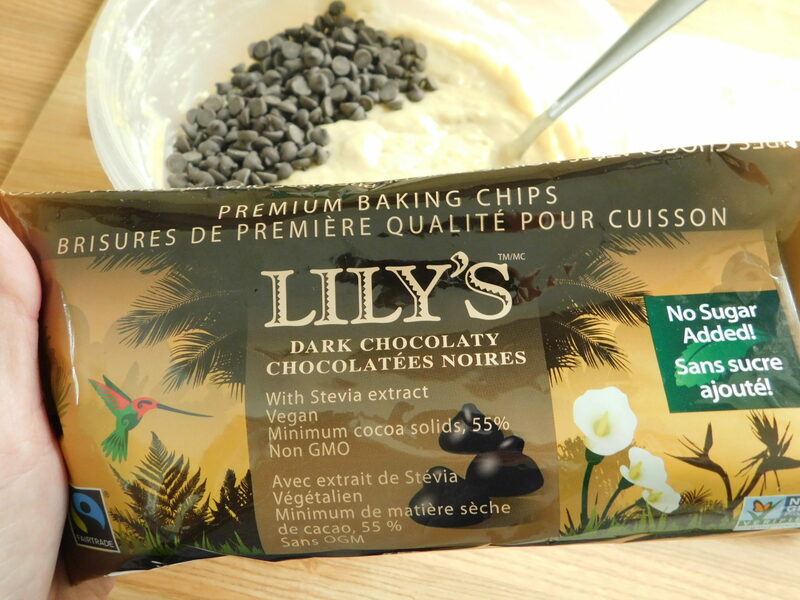 I ordered some Lily’s dark chocolate chips and was really impressed with the taste of them and the fact they did not upset my stomach (something I deal with when trying sugar-free products) check your local Whole Foods store if you have trouble finding them, I ordered from this Canadian website that carries a lot of hard to find products. 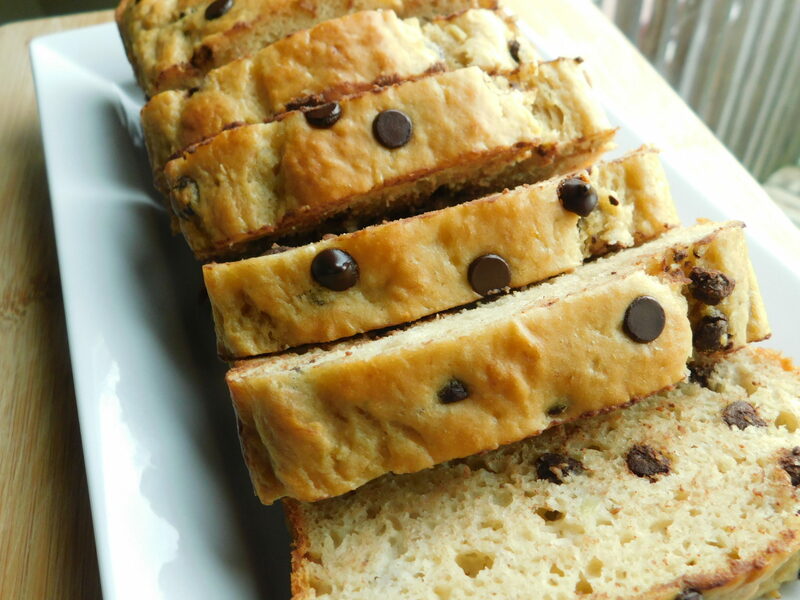 This dark chocolate chip banana loaf was delicious and only 4 smart points per serving on WW freestyle. 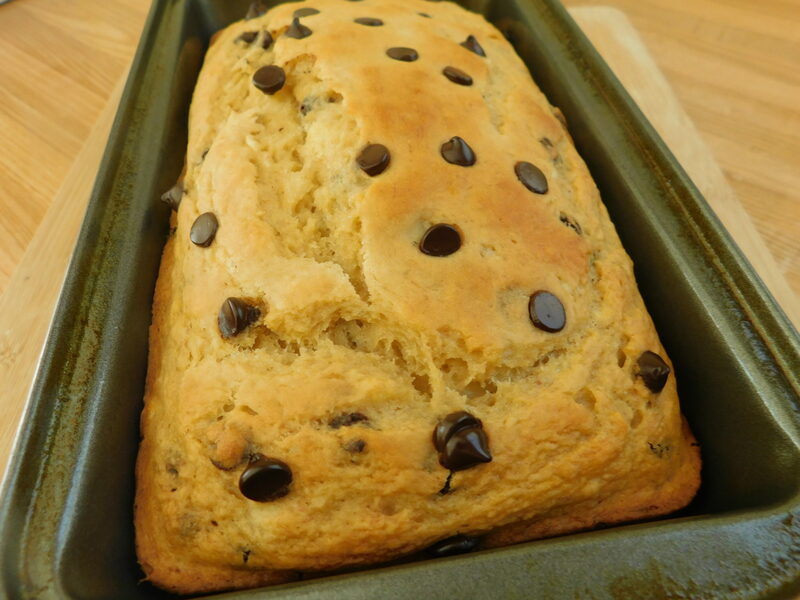 Preheat oven to 350F and spray a regular sized loaf pan with some cooking spray. 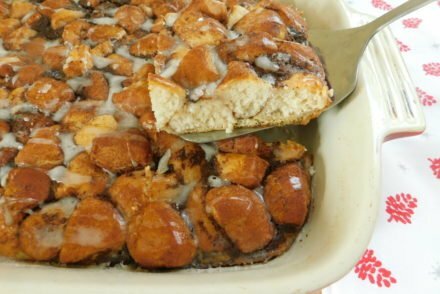 In a bowl whisk together your eggs and brown sugar. 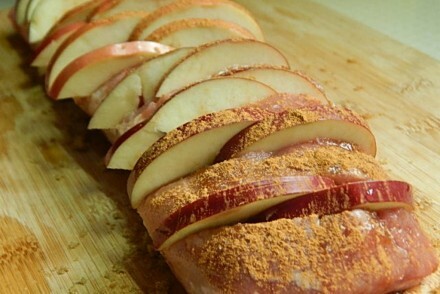 Add in mashed banana, applesauce, and vanilla and mix well. 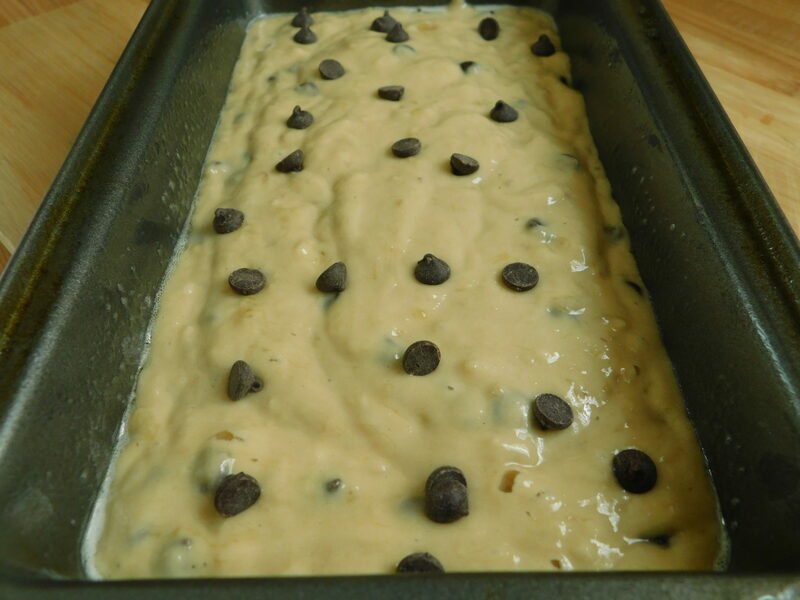 Bake in the oven for approximately 45 minutes or until baked right through. 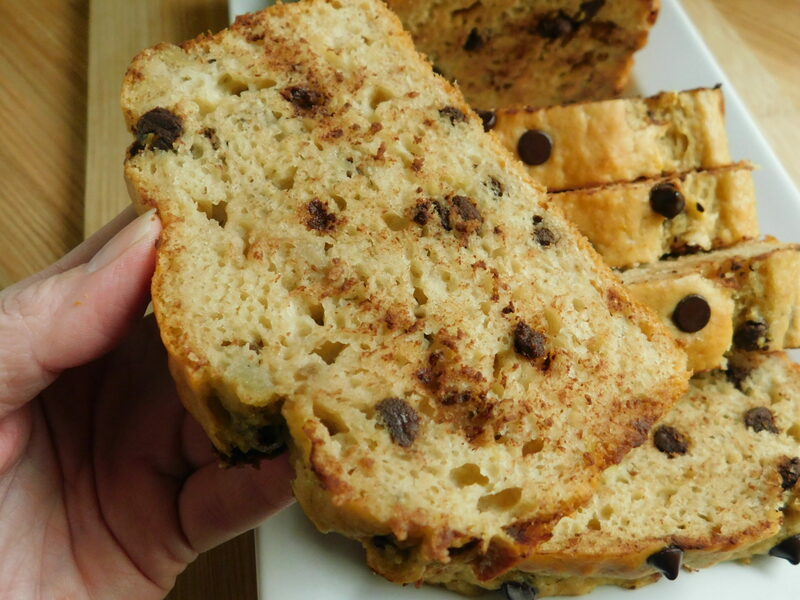 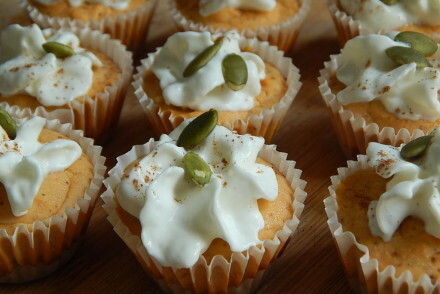 Cut into 10 servings, loaf will freeze well and best stored in the fridge after day 1.